As Orthodox Christians of the Eastern family (as distinct from the Oriental Orthodox Churches) prepare for their Holy and Great Synod in Crete this coming June a new book has been published which calls for even greater unity within the Orthodox community. In The Orthodox Dilemma: Personal Reflections on Global Christian Conciliar Unity, George Alexander, the founder and director of Orthodox Cognate PAGE, shares a passionate plea for a new conciliar approach to unity between all Orthodox Churches, both Oriental and Eastern. In the early pages of this moving book the author shares some of his personal experiences of rejection when trying to enter and share in worship in Orthodox Churches which were not of his ethnicity or tradition. These experiences, he claims, are not exceptional and he quotes the experiences of others who have experiences similar rejections. 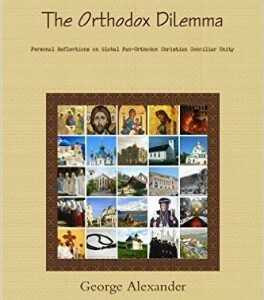 Throughout the text he argues that there are no substantive theological differences between the different Orthodox Churches (a point which many would dispute) and that the historical, cultural, ethnic and linguistic differences which keep people apart could be overcome by the adoption of a conciliar approach to unity. In arguing this approach he uses the examples of other world communions of Churches such as the Anglican Communion and the Lutheran World Federation. Despite drawing on these other conciliar models of Church, Alexander is not afraid to begin his book with the bold statement, “[The] Orthodox Church is not one of the “churches” because she is the ONLY true Church of Christ. This naturally is not pride but the TRUTH. Since the Lord instituted only one Church, how can we speak of many?”. The book deals with many of the sad divisions within the wider Orthodox community and calls for reconciliation and greater efforts towards inter-communion. Alexander touches on the Nestorian Dilemma, reminds us of the problems in the Eritrean Church and the divisions in India, Ukraine and Macedonia and gives credit to the many who have worked tirelessly to overcome division. In the end, however, he leaves us with little hope. His plea for unity is passionate but he fails to explain how the conciliar model adopted by many other churches (see the list on page 119) and the World Council of Churches itself can be applied to the one and only true Church of God, the diverse community of Orthodox Churches. 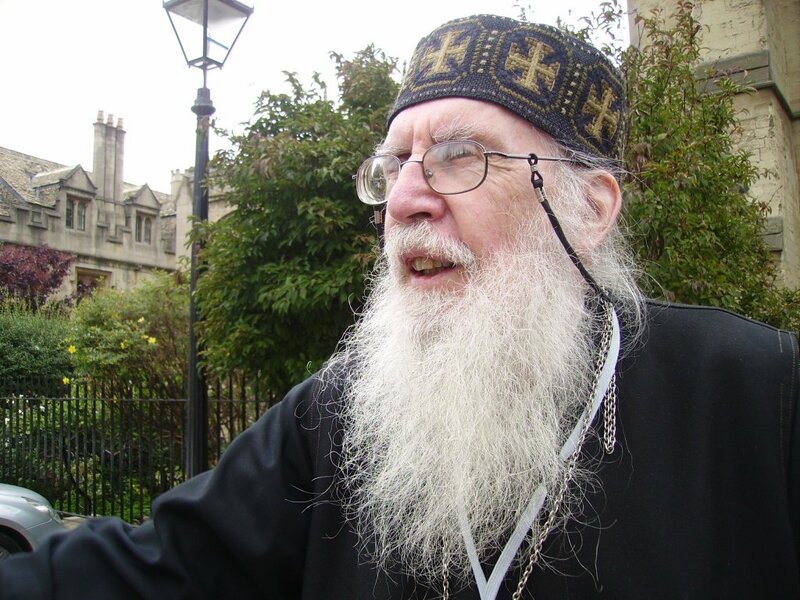 It is with sadness that we report the death a few days ago of Archimandrite Ephrem Lash, a noted liturgist, apologist and friend of many in different Christian traditions. Archimadrite Ephrem was born in India in 1933 and later became a priest of the Ecumenical Patriarchate in the Greek Orthodox Archdiocese of Thyrateira and Great Britain. Until his death on 14 March 2016 he was serving the Church of Ss. Anthony the Great and John the Baptist, Holloway, London. Archimandrite Ephrem is well known for his translations of liturgical services and patristic texts from Greek into English and his website Anastasis, as well as his many publications, became a valuable resource for many who wished to read these important texts in English. He sat as the Orthodox representative on the Church of England’s General Synod for some years and always encouraged those wishing to build more healthy relationships between different Christian traditions. He will be much missed as he enjoys the eternal glory.